The volume of retail sales rises by 0.1 per cent since February, but is down on last year – confirming a worrying trend. 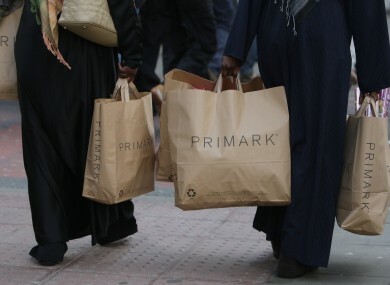 NEW FIGURES FROM the Central Statistics Office have confirmed that the retail sector is continuing to struggle, with the volume of sales in March 2011 down by 1.7 per cent on the same period last year. The statistics, published this lunchtime, show that the volume of sales rise by 0.1 per cent on last month. The value of retail sales, meanwhile, was up by the same 0.1 per cent on last month but down by 1.2 per cent last year. If motor trades are excluded from the CSO figures, the volume of retail sales is actually down by 3.5 per cent; motor sales were up by 8.7 per cent, and clothing and footwear by 2.8 per cent, in the last month. Excluding motor sales, the value of retail sales was down by 2.5 per cent on the same period last year, and by 0.7 per cent on last month. The figures largely back up findings published yesterday by Retail Excellence Ireland, though those figures indicated a drop in sales on last month. Email “Retail sales down by 1.7 per cent, CSO figures say”. Feedback on “Retail sales down by 1.7 per cent, CSO figures say”.